With a heritage stretching back to World War II, the 2015 Jeep Wrangler is about as throwback a vehicle as you'll find in today. It has old-school solid axles at both ends and standard crank windows. It's noisy and rough-riding. The soft top is easy to enjoy in the summer and just as easy to curse in the winter months. Indeed, measured against virtually any other SUV, the Wrangler is in many ways, a dinosaur at best. For its legions of fans, however, that's part of what makes it so much fun. The Wrangler Unlimited was created to give urban drivers a more 'street-friendly' platform for daily driving of a Jeep with its 4-Door design. Originally updated for 2011, the Wrangler added a new steering wheel, as well as a completely redesigned interior with higher quality materials, larger rear windows to increase rear visibility, The redesign was intended to provide a more refined interior as well as directly addressing interior comfort in noise and temperature. The big news though was the recent introduction of the 3.6-Liter Pentastar V6 which upped the horsepower rating from a barely acceptable 205 Horsepower to a "Wow-this-is-Quick!" 285 Horsepower and 260 lb ft of torque while still returning an acceptable 21 mpg on the highway. Mechanically, it starts, runs, drives, shifts and performs exactly like you'd expect it to. When properly equipped, it can tow up to around 3,500 pounds. All four of the aforementioned BF Goodrich All-Terrain T/A 37x12.50R17 tires mounted on aftermarket Mickey Thompson Classic Baja Wheels are in excellent condition. The Spare is also in excellent condition. On the outside, this Wrangler's rust-free body is finished in an easy-to-care-for Billet Silver Metallic Paint Scheme that is complimented by a Black Cloth interior. Inside its smoke-free interior sports numerous upgrades, including the Connectivity Group with an Electronic Vehicle Information Center; All Weather Slush Mats by Mopar; Heated Front Seats; an Alpine Premium 9-Speaker Audio System with an All-Weather Subwoofer 6.5" Touchscreen Audio with GPS Navigation and a 40GB Hard Drive; and more. It also includes Bluetooth; Steering Wheel Audio Control; Power Windows, Locks & Windows; Cruise Control; Cold A/C and more. As with any pre-owned vehicle, it does have the usual amount of cosmetic imperfections that are inherent to a vehicle of this age and mileage. We invite you to view all of the photos that are available on our Web Site and determine for yourself if it meets your expectations for a vehicle of this age and price. 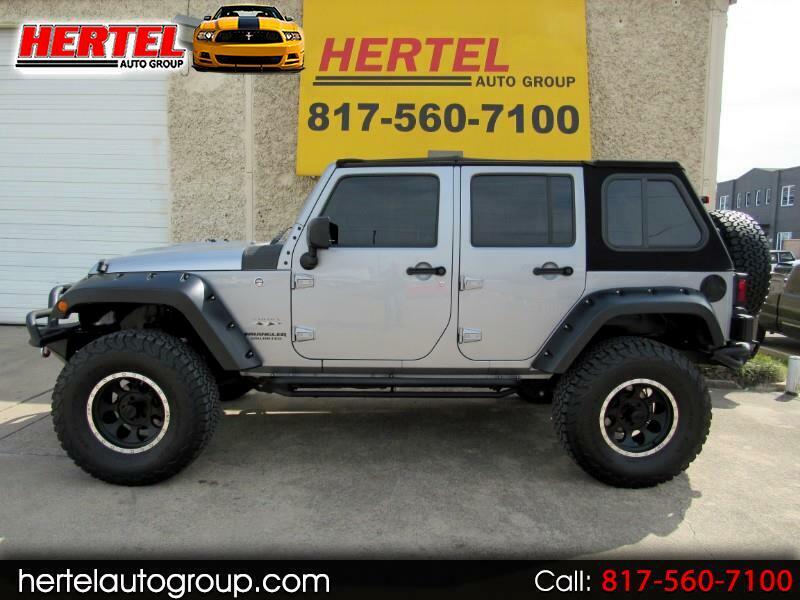 If it does, we then welcome you to stop by for a viewing and test-drive of this 1-of-a-kind 2016 Jeep Wrangler Unlimited Sahara 4WD SUV. Given its uniqueness; condition; ownership history; mileage and amenities, we've priced it fairly in the marketplace and expect it to sell quickly. Don't let it pass you by!